The next guide we prepared for you contains a variety of grooming products. All items you’ll find are much needed, depending on a person’s routine. We all know that getting this gift right can be tricky since everyone has a different ritual and uses specific types of hygiene necessities, but we promise you’ll find something worthy and get inspired. An affordable and high-quality shave kit. 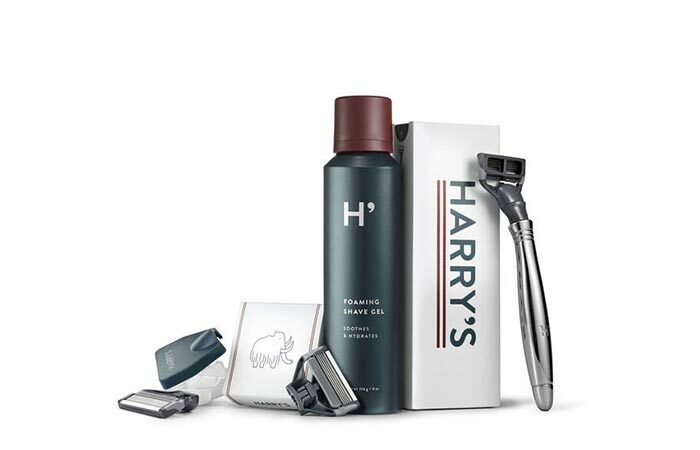 Harry’s Winston Chrome Set contains pretty much everything you need for a quality shave and comes at an affordable price. The razor is made from lightweight aluminum, has an ergonomic handle and can slightly bend to improve the shaving angle and distribute its weight evenly. In the set, you also get three blade cartridges, a blade cover, and either a foaming gel or a moisturizing shave cream, whatever you usually use. Keep your skin hydrated and clean while on the road. The previous suggestion was a kit perfect for shaving, now we have one for skin. Since it’s easily packed and comes in smaller bottles, you can use it while on the road. 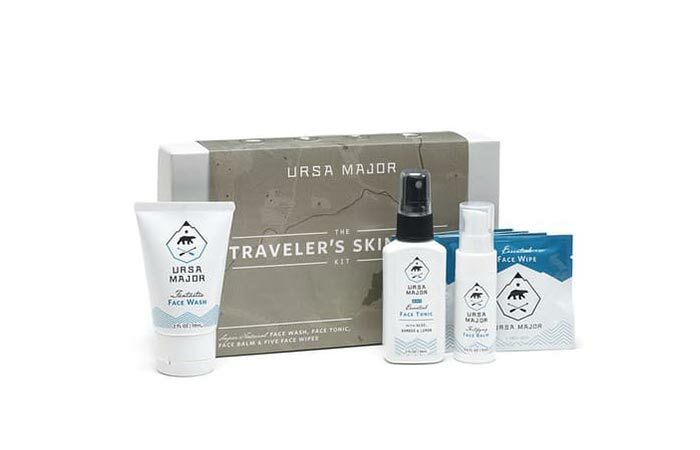 Ursa Major Traveler’s Skin Care Kit contains a face wash, face tonic, face balm and 5 face wipes. The products will clean, moisturize, soothe and firm your skin. All ingredients are gluten free if that is important for you. Growing a beard also means you need to take good care of it. 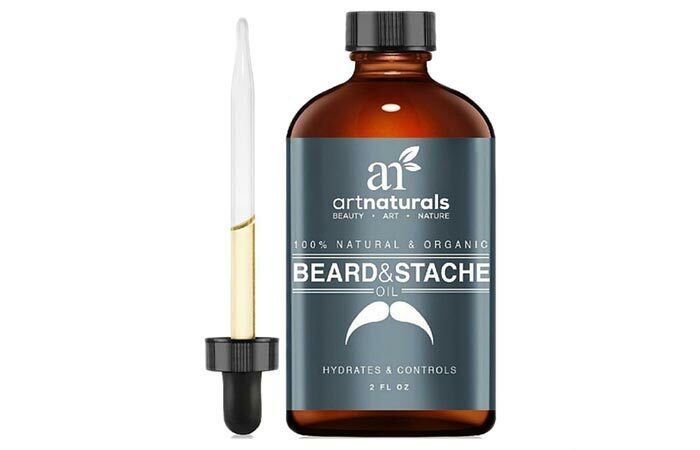 There are many great beard oils to get or even to make yourself and Art Naturals Organic Beard Oil is definitely worthy of a recommendation. At the same time, it’s a 100% organic oil, all-natural moisturizer, and leave-in conditioner. What it does is treats dry hair, stimulates hair growth, prevents dandruff and split ends. It’s made of all-natural cold-pressed jojoba oil, 100% Moroccan argan oil, and vitamin E.
One of the most popular man hair combs on Amazon. 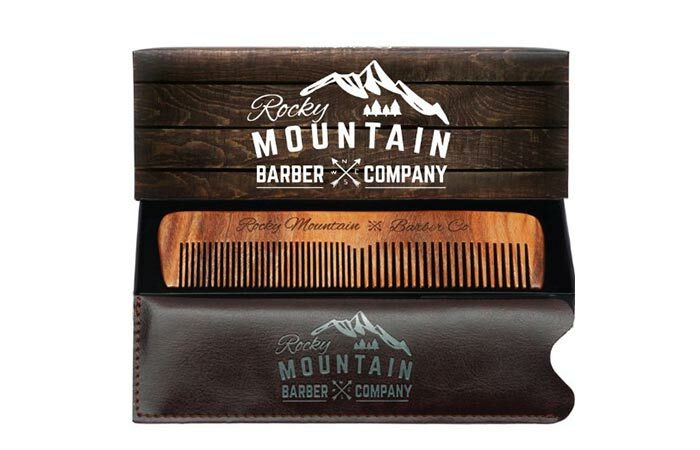 The Craftsman Hair Comb is the ultimate wooden comb you can use for hair, beard and mustache. It’s build to last and thanks to dual teeth width, it’s suitable for thick, thin, coarse or dense hair. It won’t cause frizz and is 4X heavier than plastic combs you can usually get. The carrying case makes it perfectly portable. 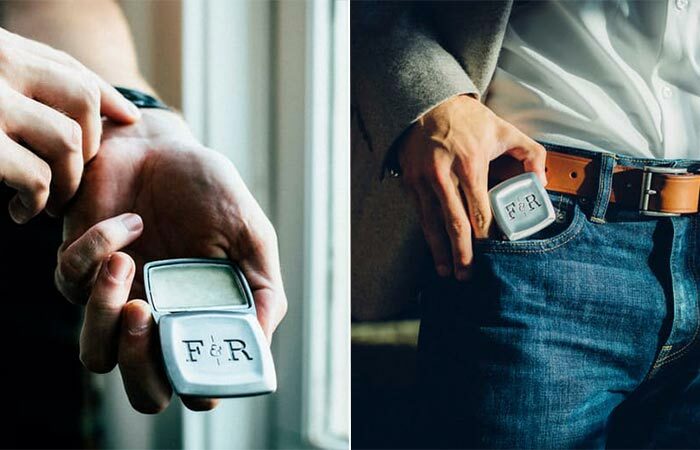 This great smelling cologne comes in a portable small metal case. This highly-concentrated solid cologne is the ultimate go-to essential. Fulton & Roark Solid Cologne is long lasting and comes in a variety of scents. All are wax-based and contain a different blend of essential oils. You can choose rich, light, fresh, woody and citrusy scents. Since it comes in a 0.2 oz case, you can carry it in your pocket. A complete skin care kit made for active conditions. 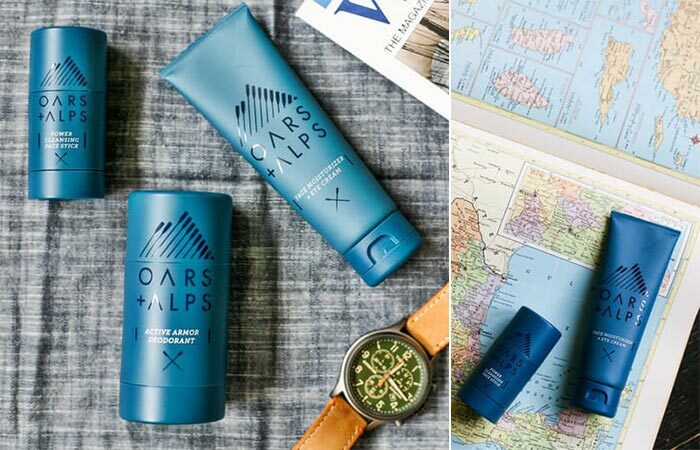 Oars and Alps Full Kit offers complete skin care, especially useful when you’re outdoors. It contains a face moisturizer and eye cream, cleansing face stick and odor-blocking deodorant. All are spill-proof, travel-friendly and made from natural ingredients. The products will keep your skin clean, hydrated, exfoliated and you can use them for all skin types. Stop carrying your travel toiletries in plastic bags. 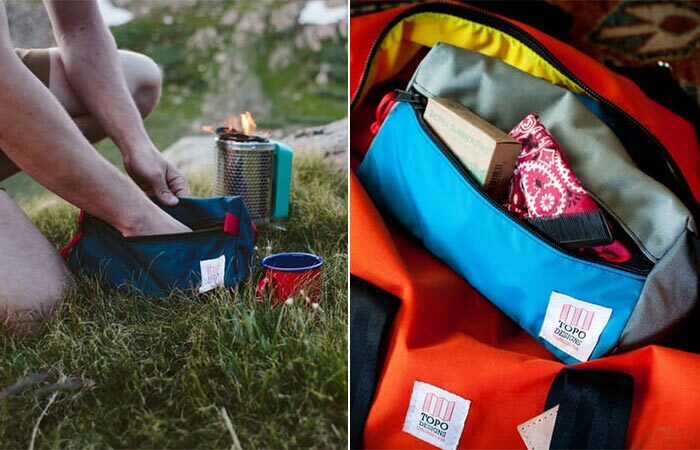 We know Topo Designs for making durable and quality bags, so no wonder they have this awesome Dopp Kit. It’s small enough for light travel, but thanks to its triangular design, there’s room for everything you need. It also means it can sit upright. Dopp Kit uses tough Cordura fabric and water resistant lining. Can be used for all types of beards. 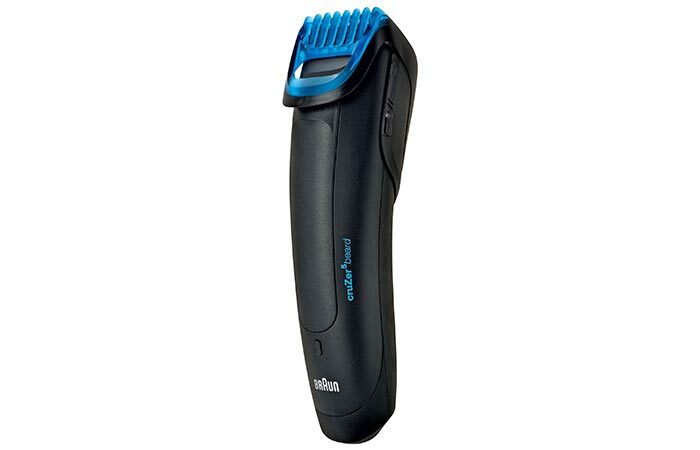 This easy to use beard trimmer comes with a removable comb and 6 different lengths. Thanks to its click & lock functionality, you don’t have to change the attachments but adjust the length setting by pressing a button. Since the body of the Braun Cruzer 5 Beard Trimmer is completely sealed, you can wash it under running water. Also, the dual battery allows the trimming power to be constant. This double edge razor is great for a precise shave. The final item in the list will provide you with a clean and smooth shave. 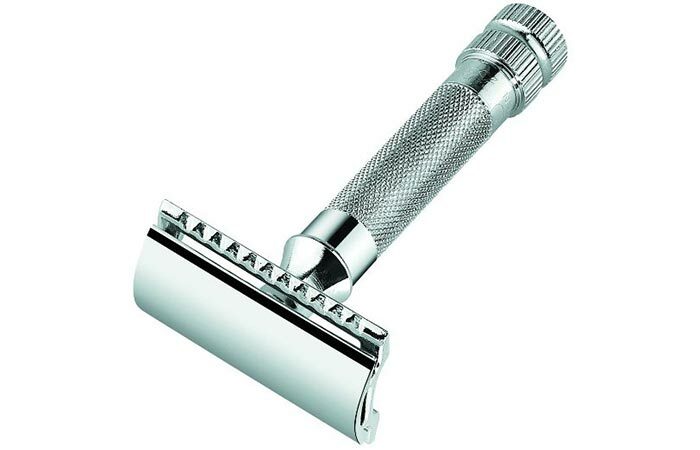 We’re talking about the Merkur Heavy Duty Double Edge Razor made from stainless steel. It has a nice long handle, so you can hold it comfortably. This, along with the blade, provides you with stability and ultimate control while shaving. Blade is included.